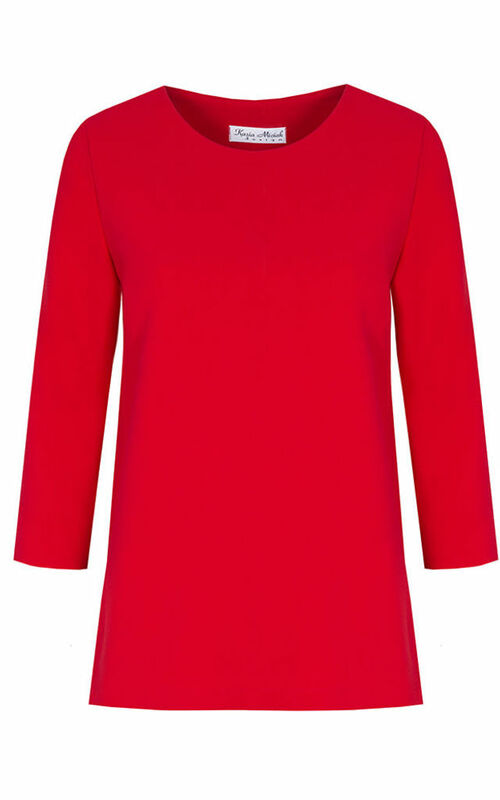 A red loose blouse with a medium sleeve. Made of an elegant, good quality fabric, with does, not pill and stretch. Is very soft, pleasing to wear and very flimsy - it will be good for different seasons. The blouse has a simple, round neckline. On either side, in the hips - small slit. Length of blouse 61-64cm (depending on size).